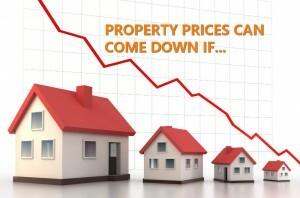 Will property prices come down?” This is not a new question especially in a time when the property market is soft. Before one answers that question, panellists at TheEdgeProperty.com’s Roundtable on Budget 2017 held on Oct 24 pointed out that industry stakeholders should first ask and find out whether there is any possibility that property prices could go any lower. The panellists that took time off to take part in a lively discussion following the tabling of Budget 2017 by Prime Minister Datuk Seri Najib Razak on Oct 21 were: Real Estate and Housing Developers’ Association Malaysia (Rehda) deputy president Datuk Soam Heng Choon, Rehda deputy secretary general Tan Ching Meng, Rehda Selangor chairman Zulkifly Garib, Rehda Johor chairman Datuk Steve Chong, Rehda Kedah/Perlis chairman Datuk Rick Cheng and Master Builders Association of Malaysia (MBAM) president Foo Chek Lee. 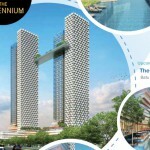 The roundtable was moderated by TheEdgeProperty.com managing director and editor-in-chief Au Foong Yee. Overall, the panellists agreed that it is possible to bring down property prices but developers would not be able to do it on their own. All stakeholders — including the federal government and state governments — have a role to play. The industry players also stressed that property prices hinge on numerous costs, the major ones being land, construction, compliance and labour. “If you look at the historical data that we have compiled in Kedah, the compliance cost has been increasing every year since 2008, on existing items as well as fees imposed on new items. 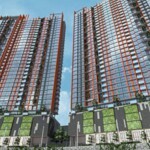 So it is impossible to see property prices dropping in the near future,” said Cheng. He said the compliance cost took up only 5% of construction cost in 2008 for a single storey terraced house in Kedah. But this has increased to 13% this year. 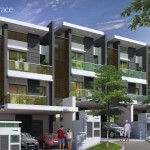 For each of these terraced houses, the compliance cost comes up to about RM20,000. On top of a hike on construction cost, this is 546% higher than in 2008, he cited. “In urban areas like the Klang Valley, the percentage of compliance cost in a property development can reach 20% to 25%,” said Tan. On the cost of labour, MBAM’s Foo said it is “impossible” to keep the cost low because Malaysia’s construction industry needs foreign labour. We cannot deny that the construction industry needs foreign workers because our youths do not want to do the job, he added. He also said that the Goods and Services Tax on building materials is another burden to developers and contractors, and they have no choice but to transfer the cost to the end-buyers. There are other factors that add up to the total construction cost as well such as the lengthy process for development approvals which could take years while requirements imposed on developers, including the requirement to build low-cost housing, also affects the prices of other property types. “There are already a lot of conditions being imposed [on developers]. For developers, the average net sellable area of their projects is now about 15% to 20% lower than 15 years ago. At that time, we could build 12 to 13 units of terraced houses per acre, but now the number is smaller, so our net sellable area has been reduced,” Soam said. 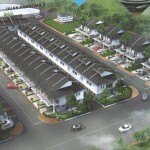 He also stressed that developers are not making “obscene profits” as they are often perceived. “If you look at some of the listed property development companies, you can check their profit margins and compare that with companies in other industries. Are we really making obscene profits? I don’t think so,” Soam commented. Agreeing with Soam, Zulkifly said the focus has long been on the developers and the government when it comes to property prices. “It is possible to bring prices down if everybody plays his or her part,” he said. Overall, it does not seem likely that property prices will come down anytime soon but considering the current state of the market, some developers may be feeling the pinch and decide to reduce the prices of their properties. Indeed, there could be good buying opportunities for homebuyers shopping around during this time, said Rehda Johor’s Chong, who believes some developers may lower their property prices to ease their cash flow problems. “It’s important to remain positive and send positive vibes to the market. Housing property prices will not come down [for the time being] but there are many choices in the market. 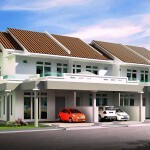 It is now a buyer’s market and if you see any cheap property, just grab it,” Chong added. The roundtable also discussed the measures announced by the government in Budget 2017 and the use of Industrialised Building System to bring down the cost of property.